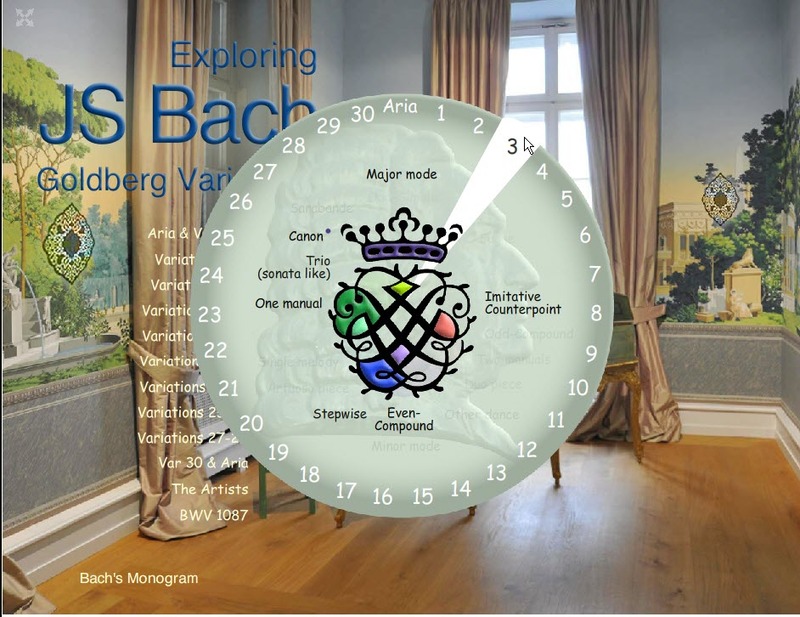 Studying the Bach Goldberg Variations brings up a few questions, and some very exciting answers! “What on earth could a composer do with only eight notes?” we might ask. “Not much!” we might answer, especially if those notes were just the first four tones of a descending G major scale, a skip of a third, a short ascending line, and a skip of a fifth forming an authentic cadence. “Pretty ordinary.” we might say, shrugging our shoulders. 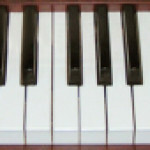 What, indeed, could a composer do with these eight notes? If the composer is J. S. Bach, the correct answer is “create a world of infinite possibilities”! Bach takes the original eight notes and first creates a 32-note ground bass, as outlined above. Notice how each line of two measures is derived from the original eight notes. With this 32-note ground bass, Bach then proceeds to create seemingly endless ways of looking at these notes – upside down, backwards, in sequence, in relative minor, in canons and dances …. giving us the fascinating, astounding, beautiful, maddeningly perfect Goldberg Variations. From the lovely beginning Aria, Bach spins variation after variation – 30 in all – to end again with the beautiful Aria. 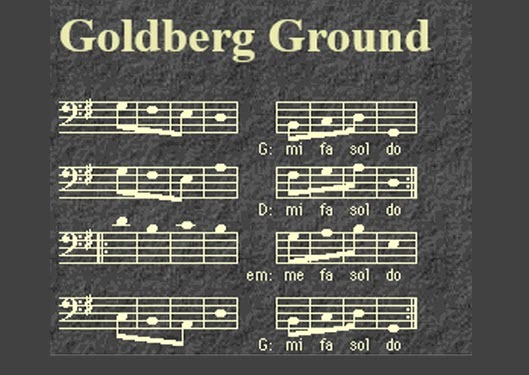 There is even a recently discovered post script of Fourteen Canons built on those first eight notes of the Goldberg Ground. It seems The Master never ran out of creative ideas using these simple eight notes. We now have a magnificent way to study this pinnacle of counterpoint. 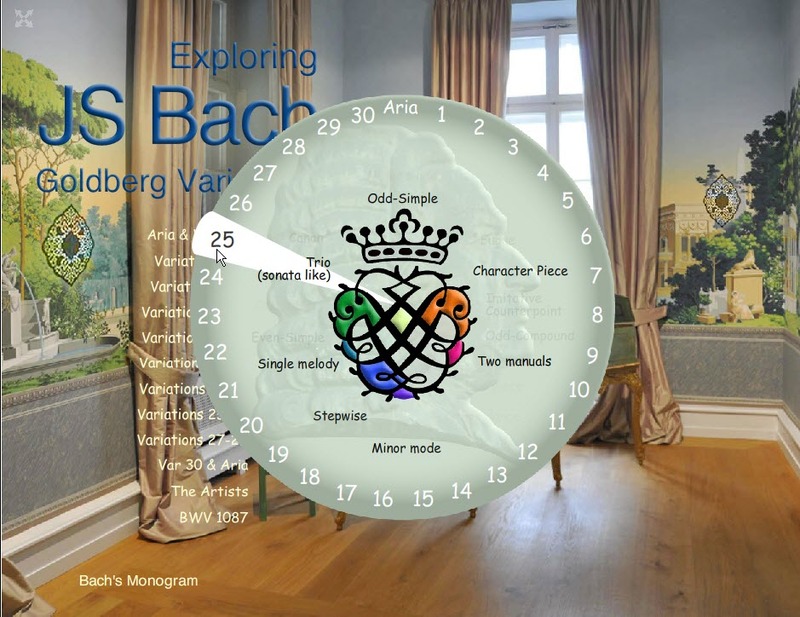 The Oregon Bach Festival’s Digital Bach Project recently announced a new online resource, “Exploring JS Bach’s Goldberg Variations”. This project is in itself a masterpiece, and we are forever indebted to these brilliant and dedicated artists and scholars. The Oregon Bach Festival is a collaboration between Northern Arizona University, the University of Oregon, Oregon Bach Festival, Haenssler Classic, and the Hinkle Charitable Foundation. Here are some helpful hints of how to start navigating this site. There are more instructions contained throughout the project – have fun exploring! 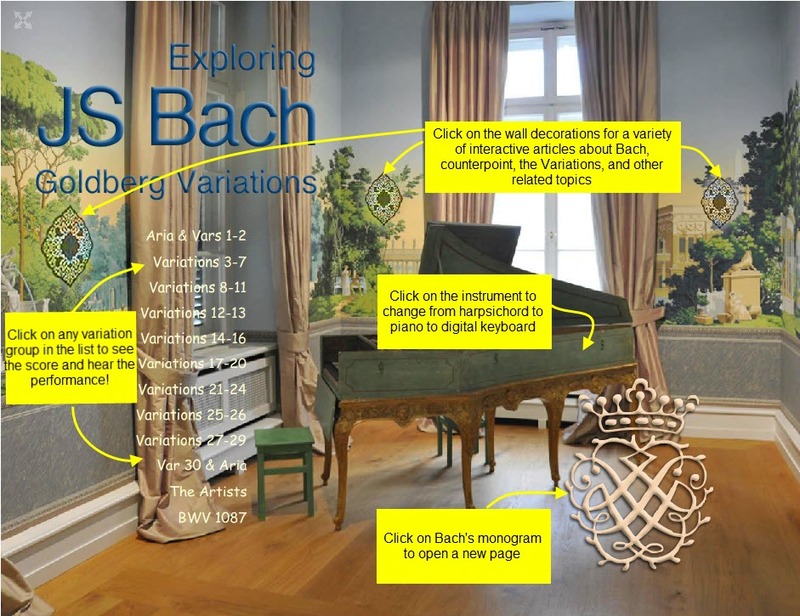 This site is recommended for all composition students, Bach performers, students of counterpoint and any one else who is fascinated by the genius of Bach. Enjoy! !